I’m sure you do. We all do! When you do get these, nine times out ten, I bet you decide not to risk it and just hit “delete”, right? Making sure your emails look trustworthy is essential if you want them to get read. In this blog post, we’ll cover 7 easy ways to boost email trustworthiness in every email you send. We’ve all been sent dodgy emails claiming to be from our bank or from a major brand we’ve signed up to – and that’s made us much more savvy about spotting the signs. As a result, any slight differences in design, any low-resolution images or logos, or anything else that seems a tiny bit “off” sends our internal fraud detectors into overdrive! To make it clear you’re legit, take extra care to ensure everything is pixel-perfect and consistent with your usual branding. The same goes for misspelled words, bad grammar and other mistakes in your text. Not only do these look lazy and unprofessional, but they may as well have your readers doubting the authenticity of the email. Read everything over carefully to check for mistakes before you hit “send”. Ideally, get a fresh pair of eyes on it, too! There’s a difference between using persuasive language and overselling a product. If you don’t want to leave customers disappointed, or to raise a few eyebrows, it’s really important that you learn to get this right! While you certainly want to show each product in the best possible light, be cautious about making claims you can’t possibly substantiate. Don’t use terms like “guaranteed” unless you really can guarantee a claim. Don’t say that something has a 100% success rate unless it really does (and there’s a big enough dataset for that to mean something). People aren’t idiots – if something sounds too good to be true, you’ll need to provide evidence. Wild exaggerations will simply make you sound like a snake oil salesman. Send your emails from an email address linked to your domain name. Unless you have a personal relationship with the recipient or you’re confident they know where you work, make sure that the sender name is set to your company name. These are super easy things to set up if you’re using a good email marketing platform. When you’re sending out emails to someone, pay them the courtesy of making it easy to reply. Not only is this polite, but it also helps to demonstrate that you really are who you say you are, and you’re reachable and accountable to your customers. This is important for establishing trust. Include a contact phone number and/or email as well as your business address at the bottom of every email. It’s also a good idea to make it possible to reply directly to an email. No-reply emails aren’t great for your deliverability, as we talked about here. Getting an email out of the blue doesn’t exactly scream trustworthiness. Not getting an email when you’re expecting one hardly suggests reliability, either. Instead, you need to establish expectations and trust by emailing on a regular basis and sticking to your schedule! 7. Never Send Emails Just for the Sake of It! Last but absolutely not least, ask yourself whether your emails genuinely add value. If you’re sending emails that are pointless and waste people’s time by opening them, you’ll damage trust in your brand. Equally, if every email you send is nakedly self-serving or pushes people too quickly to make a purchase, they’ll hesitate to trust you. Make sure every email adds genuine value – and be prepared to build up trust over time. 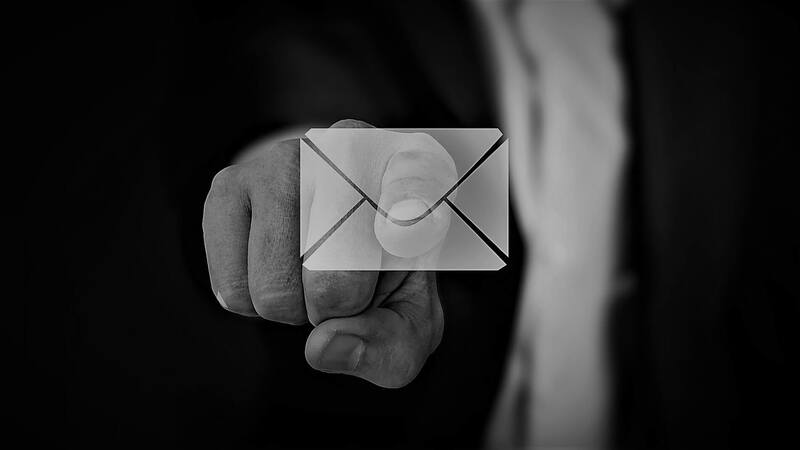 As an email marketer, knowing how to boost email trustworthiness is essential; and, a lot of being trustworthy boils down to looking professional. From intuitive, consistent design, to easy scheduling, to making sure all the right details are included in every email, the whole task will be a lot easier if you use a dedicated email creation and marketing platform!